Get ready for an inﬂux of cheap smartphones, aimed at ﬁrst-time buyers and second-handset owners MWC 2014 set the scene for the smartphone market in 2014. Trawl the web and you’ll ﬁnd a bunch of articles talking about trends in the mobile world as evidenced by MWC. Some of these include ultra-HD tablets and phones, wearable tech and improved audio for smartphones and tablets. These all speak to the same thing: the requirement to get wealthy western punters to shell out for newer, more expensive tech. Crappy Android phones such as the Samsung Galaxy Ace proliferate, and the major phone makers have cottoned on We saw multiple HD+ tablets, capable of showing off Super-HD content, and plenty of phones with better-quality speakers and audio compression. They offer marginal improvement to the mobile experience, and greater proﬁ ts for manufacturers. Meanwhile no-one needs a smart-watch, but the big guys are all betting the farm that you’ll buy one. These trends relate to-, but are separate from what’s really going on in the smartphone world: the rise of the budget smartphone (aka the lowering of the price of good-quality smartphones). In essence, in the developed world everyone who wants a smartphone likely has one, so any growth to be found in the UK is in sub-£150 phones for those who use email, internet and Facebook, and could be persuaded to upgrade. 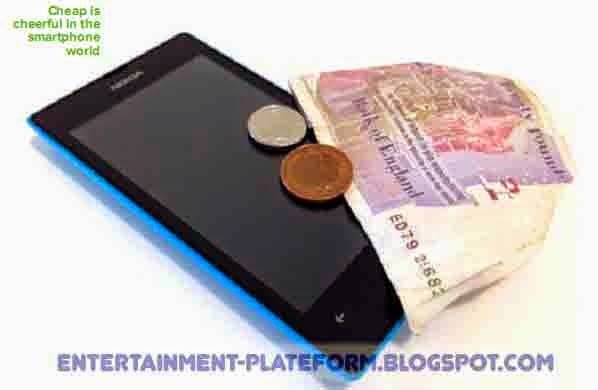 There’s also a market for second smartphones – rough-and-ready devices for those times when you need to be connected but you don’t want to risk your £600 phone. More critical yet is the rest of the world: in developing nations mobile phone connectivity is better than is ﬁxed-line broadband, and there is going to be an explosion in smartphone use. The major players are all jostling for this market, and it is likely that UK smartphone buyers will benefit. Take a trip down to the high street and look into Carphone Warehouse, Phones 4U or any of the other phone stores. You’ll see the latest iPhone, Samsung Galaxy, Nokia Lumia and Sony Xperia handsets, and literally dozens of cheap smartphones and feature phones. Ask any salesperson working in those stores and they’ll tell you that the £100 Lumia 520 walks out of the door at a rate of knots. 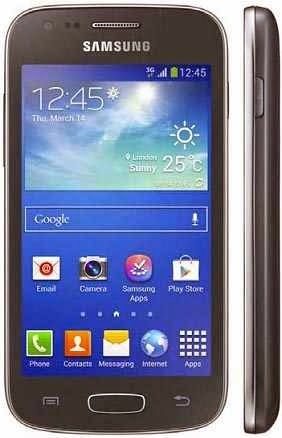 Meanwhile, crappy Android phones such as the Samsung Galaxy Ace proliferate, and the major phone makers have cottoned on. At MWC we saw multiple phones in the sub-£100 sphere. Nokia announced five of them, then there’s the Firefox phone and the Acer Liquid Z4. These follow on the heels of such budget bargains as the staggeringly good value Moto G, a snip at around £129. Meanwhile, Lenovo has purchased Motorola with the intention of targeting global markets with cheap, quality smartphones. Not all of these will make it to western markets such as the UK, and none of them are entirely aimed in our direction. But some, if not most of them, will be on sale here, aimed at first-time smartphone- and second handset buyers.